If you haven’t heard of frosé yet, it’s just a matter of time before it pops up on your radar because I think it is the unofficial drink of the summer this year. The drink is made by freezing rosé wine and blending it to a slushy consistency, then serving it in a pretty glass with a straw. It’s pretty, pink and cool enough to take the edge off even the hottest days. The most basic recipes for frosé only instruct you to freeze a bottle of rosé in an ice cube tray and blend the resulting cubes until they are slushy. This makes an ok drink, but it doesn’t make a great one. The secret to making a good frosé is to add in some additional sugar. The sugar plays several vital rolls in the drink. First, frozen things are less sweet than room temperature things, so adding sugar before freezing means that the finished drink will taste more balanced. The sugar also brings out the flavors of the rosé you’re using, which often include citrus and berry notes, and it helps to downplay the alcohol. Finally, the sugar will help the drink to be less icy, so it will flow through that straw smoothly as you sip. You don’t absolutely have to add additional sugar to your rosé to make this work, but I do recommend it if you want to get the best results possible. Since there is alcohol and sugar in the mix, your frosé base will not freeze as solid as plain water. You can freeze it in ice cube trays to make blending it easier, but you can also simply freeze it in a baking dish or large tupperware container and break it up with a spoon before blending. If you want to serve it as sorbet, you can simply spoon it into cups without blending! 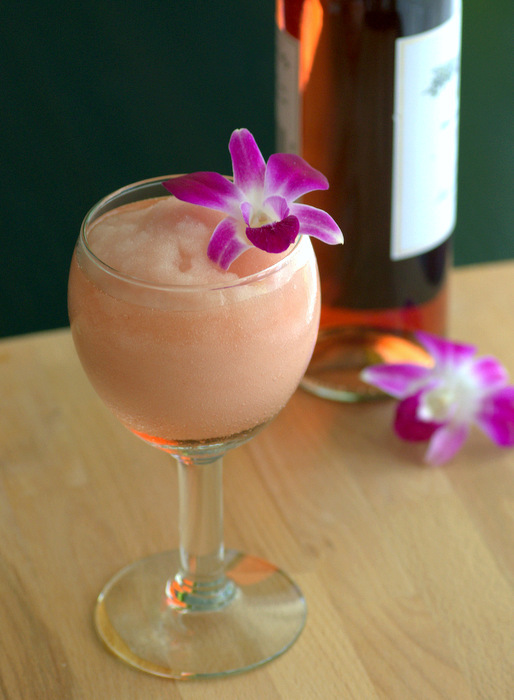 Blending the frozen rosé turns it into a creamy, wonderfully refreshing drink that is a good way to beat the heat and a great use of rosé wine. The base will need to be prepared the night before you intend to serve it so that it has plenty of time to freeze. You can make up a lot of it and store it in ziploc bags in the freezer, then pull out enough for a serving when you want to treat yourself, too! The frosé will keep for weeks in the freezer. One bottle of wine will make enough for 3 generous servings – because when you’re talking about slushy drinks that are made for sipping poolside, you want the servings to be generous!! In a large measuring cup or bowl, whisk together sugar and hot water until sugar is dissolved. Add in wine and stir to combine. 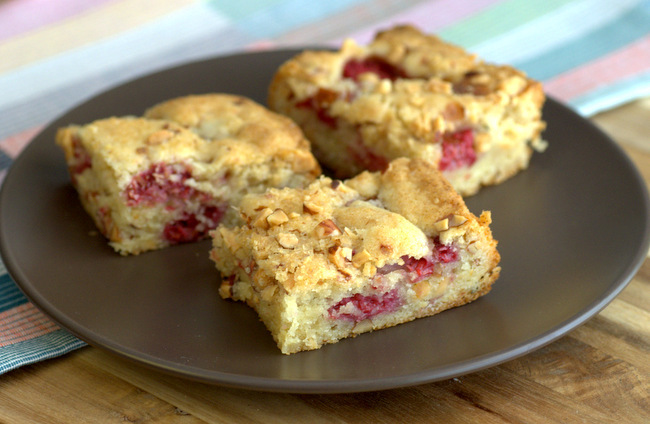 Pour mixture into a shallow baking dish or into ice cube trays and freeze until solid, at least 8 hours. To serve, pop the ice cubes out of the trays or spoon out the frozen mixture and transfer it to a blender. Blend until smooth. The recipe I use also calls for blending fresh strawberries with the frozen cubes and a little superfine sugar. So yummy! what a wonderful idea! Great tip about adding sugar too, and would prefer not to make it too sweet, I really like rose in the summer because it isn’t but understand the need to sweeten it in a slush-drink, just for me not too much! So, thank you for this cocktail!